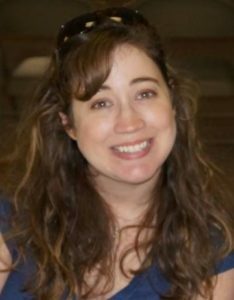 Meet our featured member, Jennifer! What is your proudest moment in your League experience? Every year we have an opportunity to leave a lasting impact on the JLM and the communities we serve. I am most proud of the work the Membership Taskforce did in 2016-17 and 2017-18 that led to the introduction of our new membership model. When Jenny Taylor was President-Elect she was already thinking of ways to improve our member experience and asked if I was interested in helping. It really is amazing how much you can get done when you have a focused team working on a simple goal to help every member have her best year ever! Why did you get involved in the JLM? I joined the JLM when I was new to Memphis. I grew up in a small town and really missed the sense of community I felt there. I also wanted the sense of fellowship that comes from serving with others toward a common mission. What do you love about being a member of the JLM? What’s not to love! I enjoy working with women who are passionate about making Memphis a better place. I love getting to meet amazing women who inspire me to grow personally and professionally. I am thankful for the great friends I have made and the real conversations that happen amongst our members. I stay in the League because our organization offers so many opportunities to challenge myself while helping accomplish a mission that speaks to my heart. What advice do you have for other members about choosing a meaningful placement? When it comes to placement, I believe there are multiple factors that lead to meaningful experience. First and foremost is your attitude. If you go into a placement ready to make an impact and develop your potential, you will–even if there are growing pains from time to time. I encourage members to talk to other members about the placements they are in, to attend placement shifts for placements they are considering, and to ask more senior members in the League where they think you would excel. Some of my favorite placements have been those I was encouraged to pursue but would have never considered on my own. What’s been your favorite GMM location and/or speaker? I love our May GMMs when our provisional classes complete their first year of services and out long-time actives become sustainers. I always get choked up during this meeting, thinking about the lifelong journey of our members and the impact our members make on each other and Memphis. What is the last book you read and would recommend? A few months ago I listened to The Hate U Give on Audible. I suggest listening to the book because I think the characters’ voices ring truer in audio and the story is that much more real. It’s a really powerful book. A few other good reads from 2018 are The Bear and the Nightgale, Little Fires Everywhere and Sourdough.